Add image watermark is similar with adding text watermark. 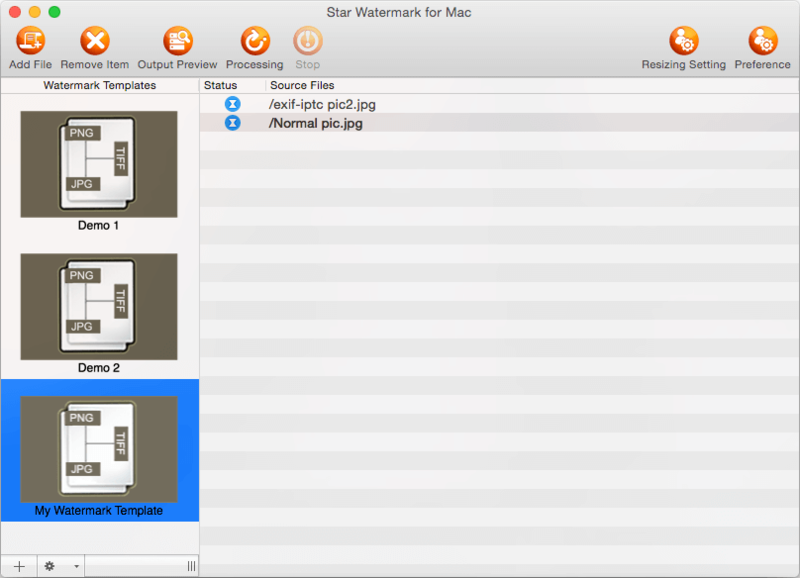 Click here to download Star Watermark software, then launch Star watermark and create a new template. After created, double click on your template to open it for editting. Switch tab to "Image", and setting your watermark style, such as image watermark path, image angle, transparency, initial width and height, auto scale and so on. Auto scale: If you want to let watermark scaling according to pictures with different dimension, please checked "Auto scale". Ratation: here you can adjust angle of image watermark. Transparency: here you can adjust image transparency. Location: here you can put watermarks in suitable place, such as Center Center, Top left, or rotate the watermarks to angle you want. Offset: When changed watermark location, please trim offset value to place image watermark right position. When your watermark template is editted completed, close "Edit Watermark template" dialog. 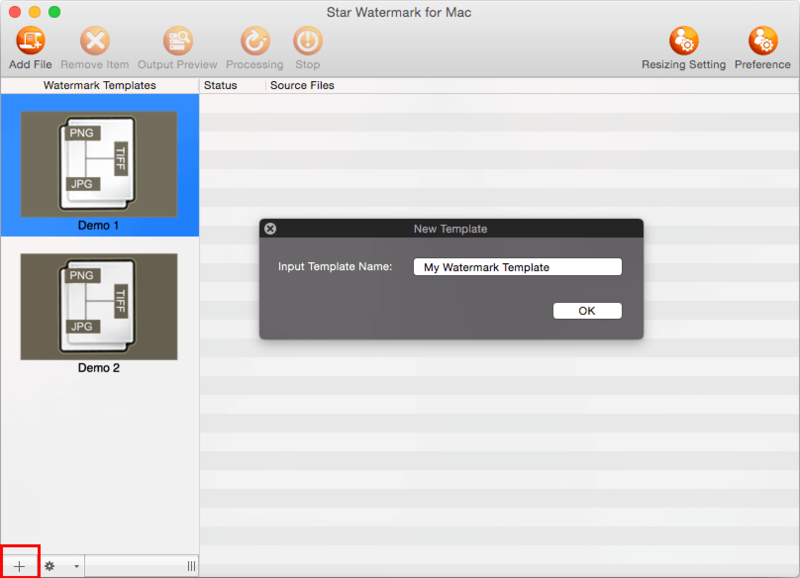 In left side of main dialog, click your watermark template to make it selected. 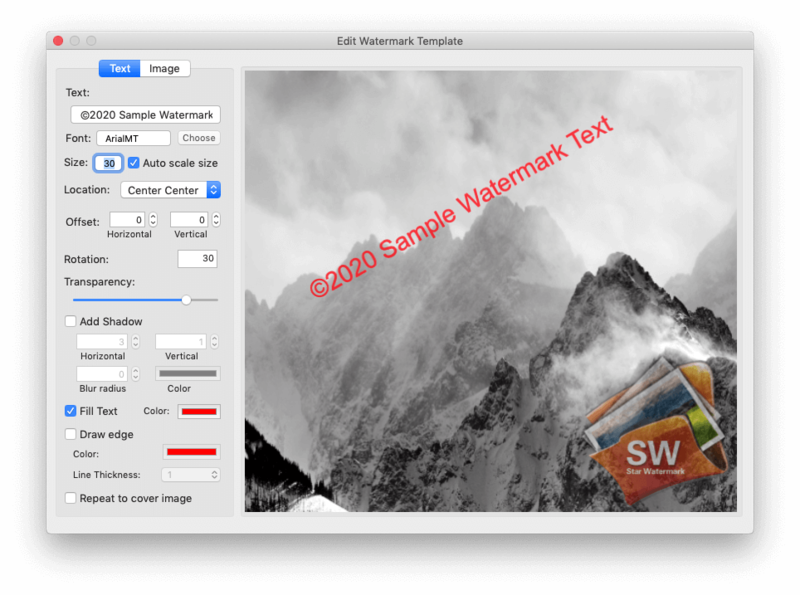 When your watermark template is ready, click "Add Files" button to add image files you want to add watermark on, or drag and drop them to main dialog, it will be added automatically. Click "Process" button to apply your watermark in watermark template to your images. The default output directory is same as orginal image file directory, and the default file name is renamed with suffix "_new", such your original file is "a.jpg", the watermarked file is "a_new.jpg". Find them to view.